If Graduation is Fame, 808s & Heartbreak Kills. In the wake of Graduation‘s superlative Indian summer high, 808s and Heartbreak is the inevitable comedown – the crash of the coldest winter. West described this album as “Pop Art,” in its ability to merge hip-hop credibility with mainstream appeal to innovate authentic music in a way only paralleled by Pink Floyd: Welcome to heartbreak – the dark side of the moon. 808s finds beauty in the darkest places, because it is those places that hold the greatest truth. The opener lays the path the rest of the tracks will follow. West’s lyrics this time around are less hype, more heart (break), less Louis V more lamenting, less Flashing Lights more Street Lights. Kanye is Mr. Show Up to Show Out – because we are so desensitized to true music and true artistry in the midst of fluff that to wake us up, he’s got to knock us out (just ask George “Doesn’t care about Black people” Bush, or Taylor “I’ve always wanted to be a Disney princess, thanks for being the villain” Swift). 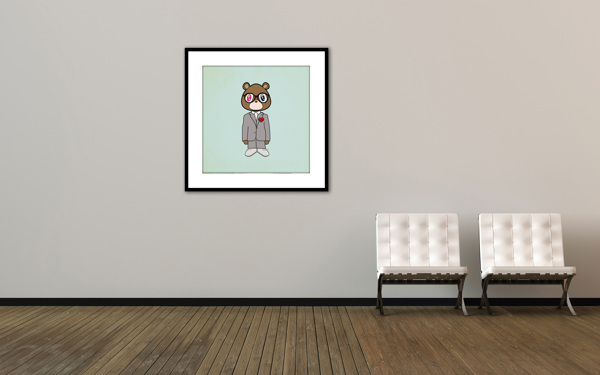 “Take off your cool, then lose control,” is Ye stripping off the white guido tuxedo, taking off the shutter shades, and being comfortable in the catharsis of creatively controlled chaos. The sound and the story align to underscore a sense of discord, distortion, and a dichotomy between the genuine and the unnatural – but more so how he makes the two harmonize and make sense. There is indigenous percussion, very bass-driven beats, but in the shadow of heartbreak the beat goes on – slowly, deliberately, but steadily and surely. 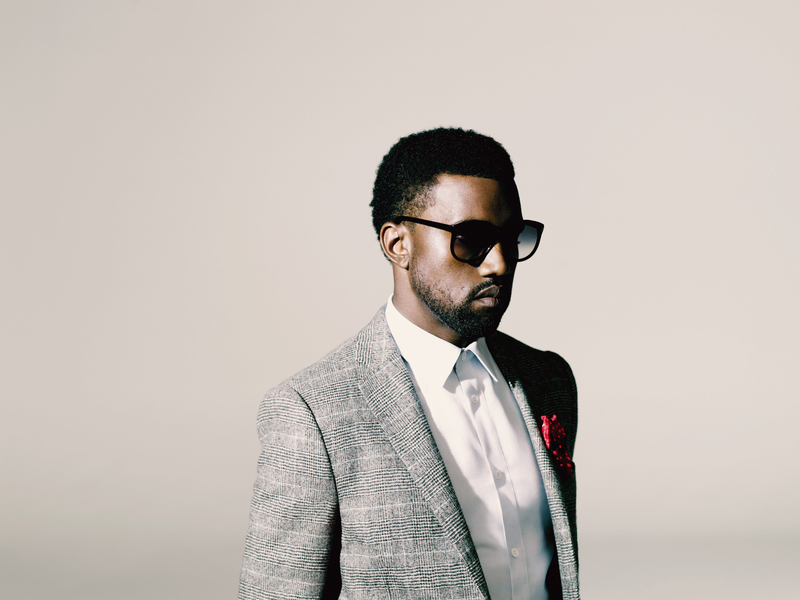 At the core of the album is the dark side, the cold winter, the heartless world; Kanye at his wit’s end – which is still wittier than most of the listeners – to the point of recorded mania on tracks like “Paranoid,” where you literally hear chilling chuckles and pseudo-schizo rants in the background. When Donda West died, life changed; but West as an artist – a maven – coped the only way he knew how: through music and his art. 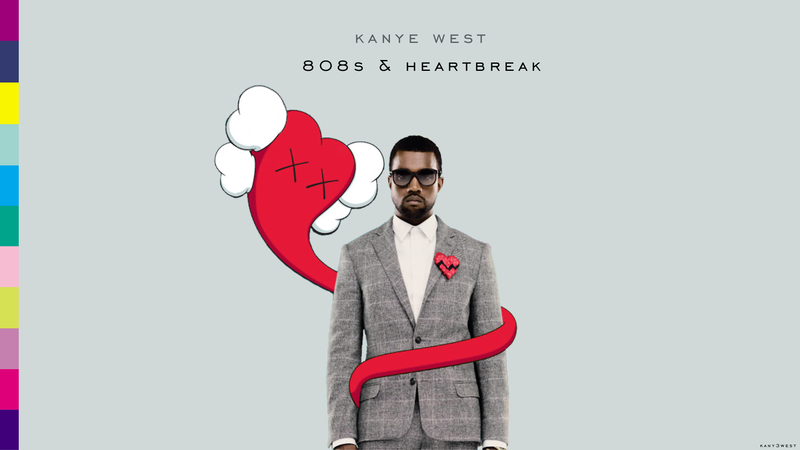 808s is perfect and unforgettable in its peerless encapsulation of how Kanye was feeling at that very moment, it was an immersion into his world – and you may not have known what he was thinking, but you couldn’t help but feel it. The prose and production alike are simple, yet multifaceted. Pianos, multiple vocal levels, strings, tribal drums, horns, all beneath the litany of vocoder and 808 add-ons. Lyrics that are blatantly literal, delivered in a manner that is polar to the perception of the Louis Vuitton Don – but it works in the Pop realm of self-contextualization. The clearest sound remains the steady drums, the indigenous sound, the roots, the heartbeat; it maintains throughout the entire journey – through 808s, Auto-Tune, through heartbreaks and fickle mainstream. When pushed to the limit, 808s surge and shut down but humans survive. 808s and Heartbreak sounds like what would happen if Mozart met Microsoft and Mac – wait imma let you finish – and had the greatest artist of all-time produce the project. It’s classical and contemporary in a very raw way – harmonious discord. It is what it is, and it’s not comfortable; but that’s the L.A. crash: you don’t feel comfortable, but at least you feel. Honestly, I don’t “get” 808s and Heartbreak in the way I get Graduation, or Back to Black, or Frank, or My First Mixtape, or My Second Mixtape, or shameless plugs. I’ll never know what really means what. When I write these pieces, I know I’ll never be able to convey what I get about what the album’s got, but I manage. Enough people get the album’s general idea to where I’m another interpretation of what already is. 808s I’ll never get though, but it’s okay because Kanye didn’t get it either. He spoke from the broken heart. Any time someone of Kanye’s caliber, within his capacity, can boldly go to their closet and display their skeletons – en route to expelling their inner demons – overlooking gratuity and pity in light of artistry and connection, it is more than noteworthy – it is unforgettable.